With so many social networks to keep up with, there’s plenty of potential for sharing your new photos. The right picture can spark a conversation, make your friends laugh, or attract new followers to your feed. However, deciding which photos will be a hit isn’t easy, and this is where getting feedback on your photos 8 Places to Get Feedback on Your Photos 8 Places to Get Feedback on Your Photos One of the best ways to improve your photography skills is to gather genuine feedback from people who know what they’re talking about. These eight sites are where you can do just that. Read More is helpful. New app Post or Not is aiming to socialize the photo review experience. 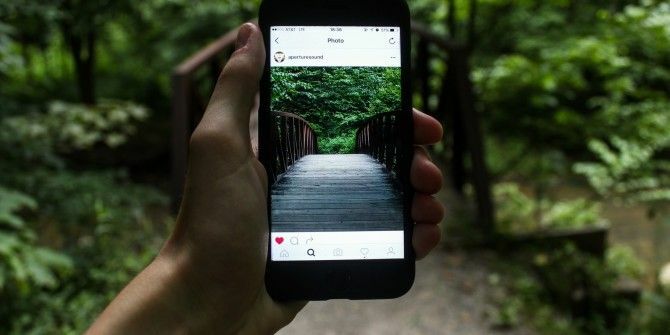 The app, currently in beta and soon open to testing, allows users to upload a picture that they want to post to social media to let others have a look. Simplicity is the name of this app — users can’t add friends, comment on pictures, or download any of the images. Instead, users vote with a simple smiley face or frowning face. After some time, you can review the vote breakdown and decide whether the photo is worthy of posting on Facebook, Twitter, Instagram, or wherever else. If you so choose, you can link Post or Not with your various social accounts, allowing you to share the photo with one click once it’s earned enough smileys. Of course, if you’re not one to post many pictures on social media but have a creative eye, you can lend your expertise to rate others’ photos — they’ll definitely appreciate it! If used widely, Post or Not should go a long way in helping people what to post online, and removing comments will keep the drama to a minimum Frustrated with Facebook? 5 Tips to Reclaim Your Sanity Frustrated with Facebook? 5 Tips to Reclaim Your Sanity The real-world social implications of Facebook make it difficult to deal with frustrating online situations. Here are five tips to help you keep your Facebook feed drama-free. Read More . It goes without saying that your pictures should never contain pieces of information you should never share online 5 Examples of Information You Should Never Post Online 5 Examples of Information You Should Never Post Online What do you post online? Do you share your location, your home, your bank details? Perhaps you share them inadvertently? If you're unsure, check our tips and tricks to avoid posting personal information online. Read More . Do you like the idea of getting an opinion on your photos before posting them? Let us know if this app is up your alley in the comments!